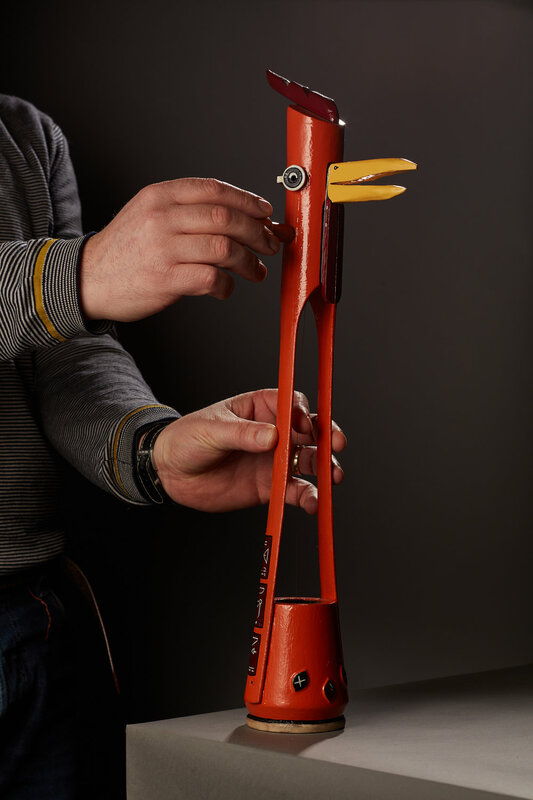 Oozo is constructed using all recycled materials - combining hardwoods, acrylic paint, coconut shell and high-grade yacht varnish to provide a clean and protective finish. His whiskers are made from reused guitar strings, and his eyes from steel washers. This maraca is filled with small rough cut pebbles and therefore provides a slightly deeper tone than other, more fine filled, maracas. This hand painted piece also comes with a made-to-spec hardwood fir stand. 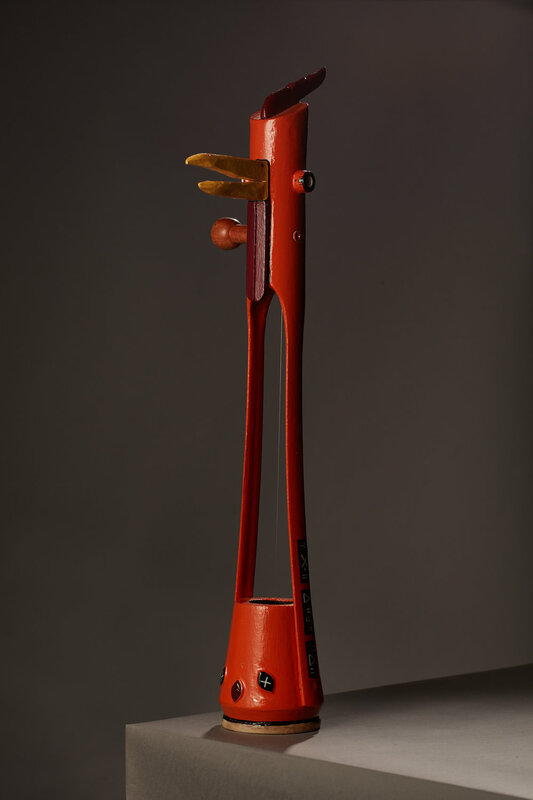 Finix is a hand made one of a kind maraca art piece. 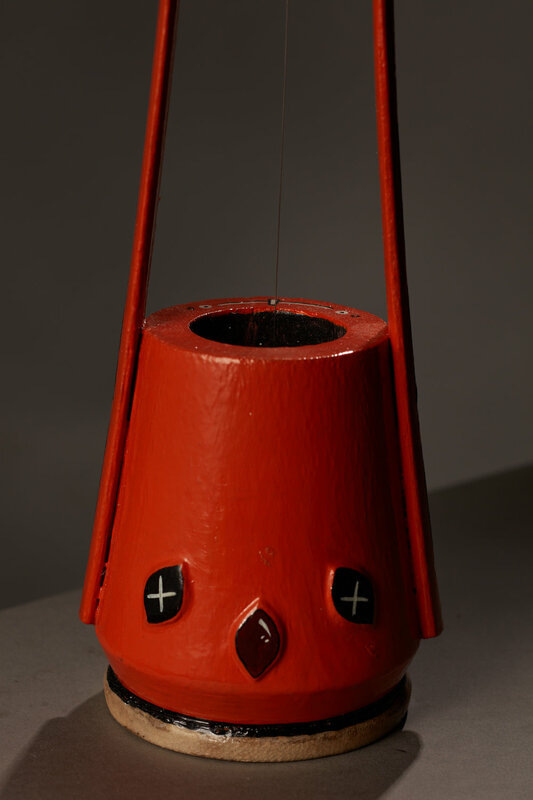 He was constructed using all recycled materials - combining hardwoods, acrylic paint, coconut shell and high-grade yacht varnish to provide a clean and protective finish. This maraca is filled with small rough cut pebbles and therefore provides a slightly deeper tone than other, more fine filled, maracas. 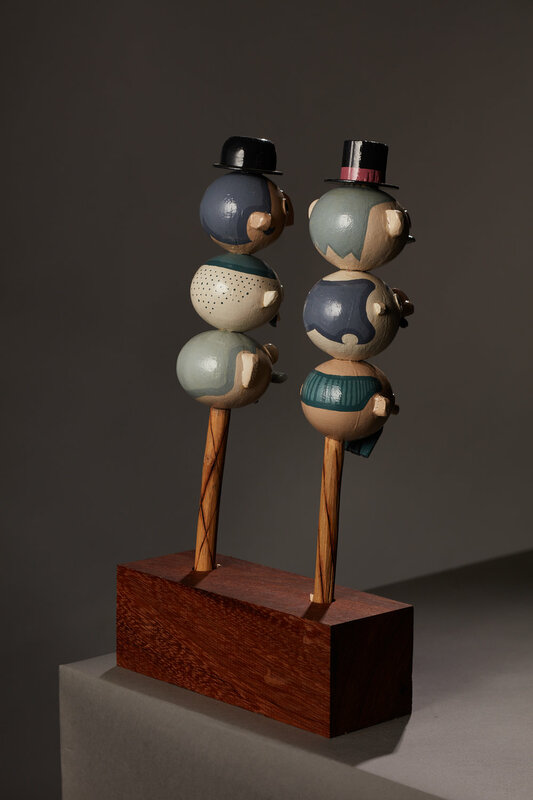 Los Caballeros, or 'the Gentlemen' are a set of hand made one of a kind maraca art pieces. 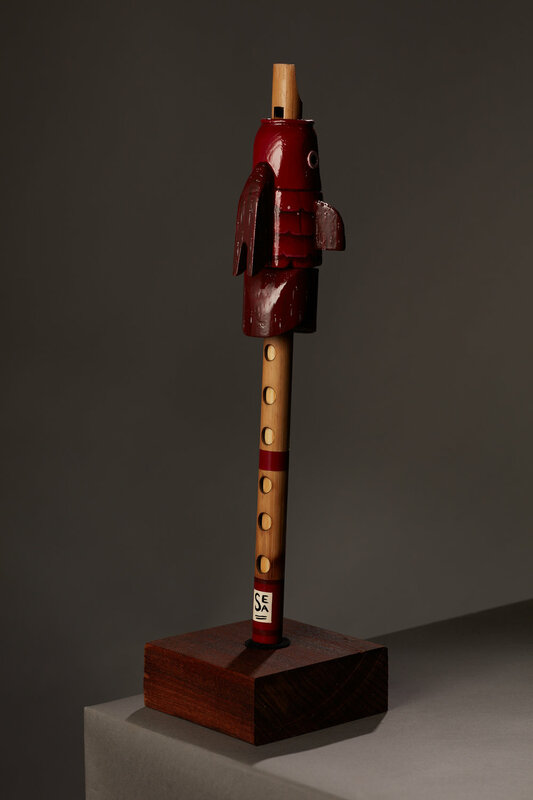 The Gentlemen were constructed using all recycled materials - combining hardwoods, acrylic paint, baobab seed shells and high-grade yacht varnish to provide a clean and protective finish. These maracas are filled with small fine cut pebbles and therefore provides a mid to high tone shake sound. Key of Sea" is constructed using all recycled materials - combining hardwoods, acrylic paint, bamboo and high-grade yacht varnish to provide a clean and protective finish. The piece is tuned to the key of C and comes with a made-to-spec mahogany and hardwood fir display stand.